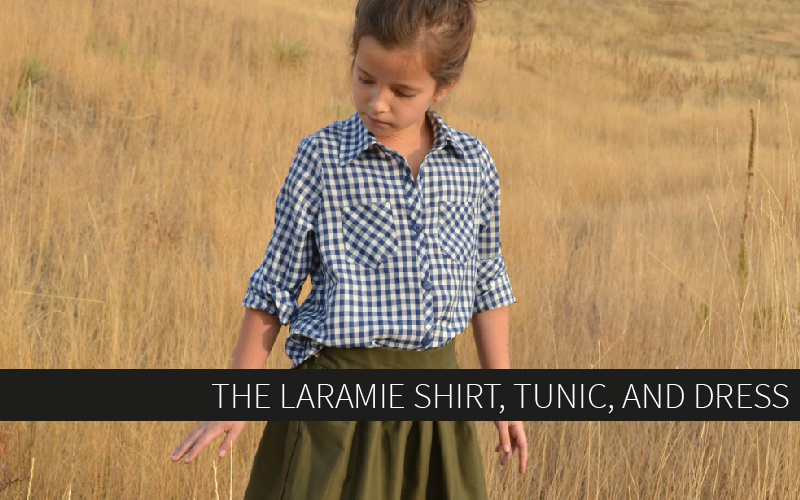 Today I’m rounding up all the beautiful pictures from the Laramie Shirt and Dress testers! This is a great way to see all the options included with the pattern and how it looks in different fabric prints and substrates, so be sure to scroll all the way through and show our testers some love for their great projects! 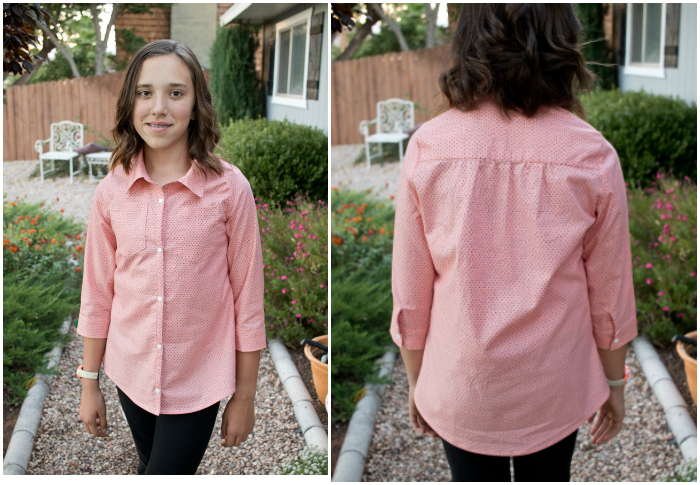 Brittney made a view A in shirt length with 3/4 length sleeves. 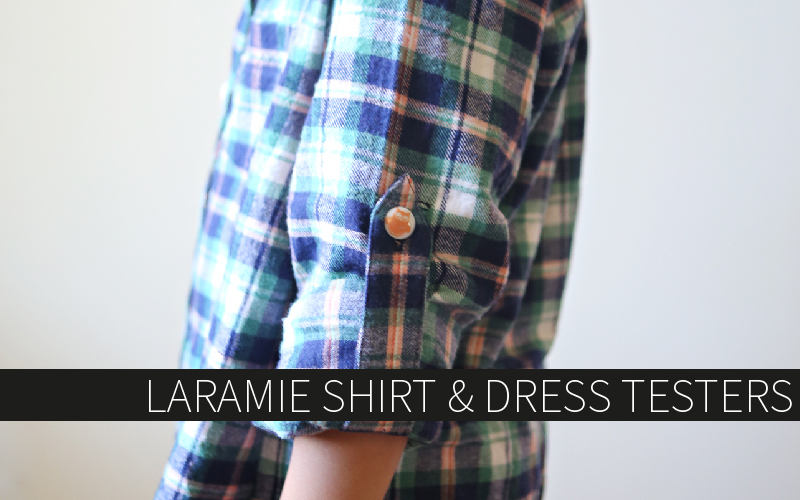 I love how she used snaps instead of buttons for her Laramie! 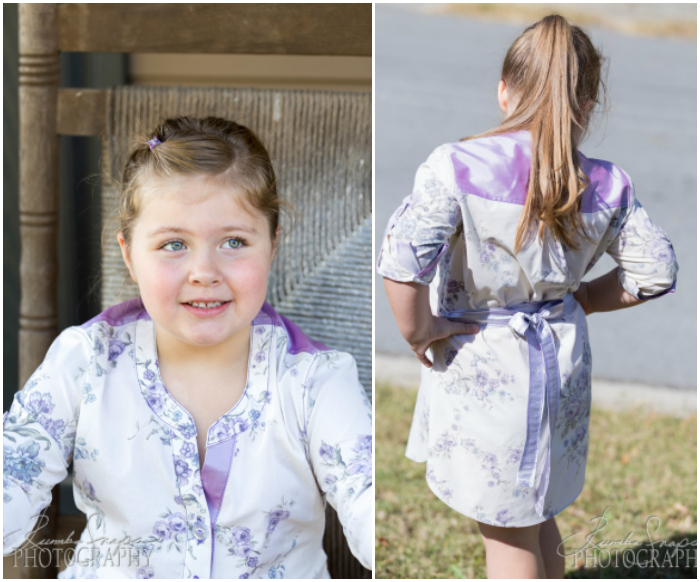 Pam’s daughter is sporting a view B in the dress length with a regular belt instead of the fabric belt included in the pattern. 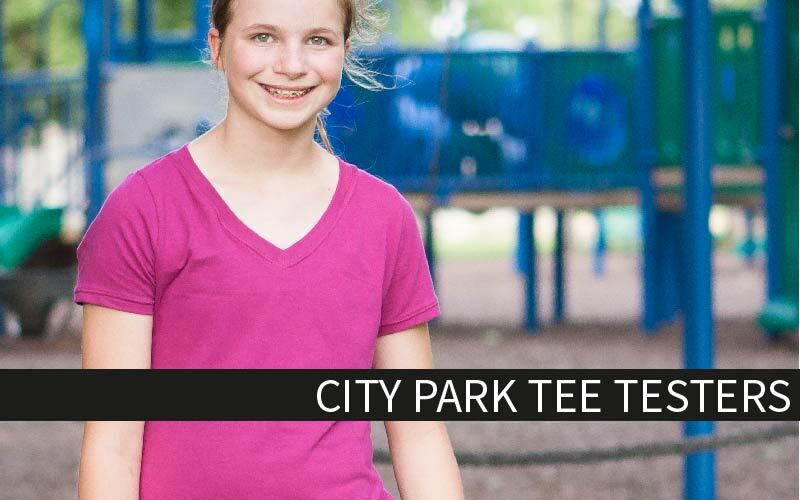 I love this option to make it more like RTW, especially for the older girls. 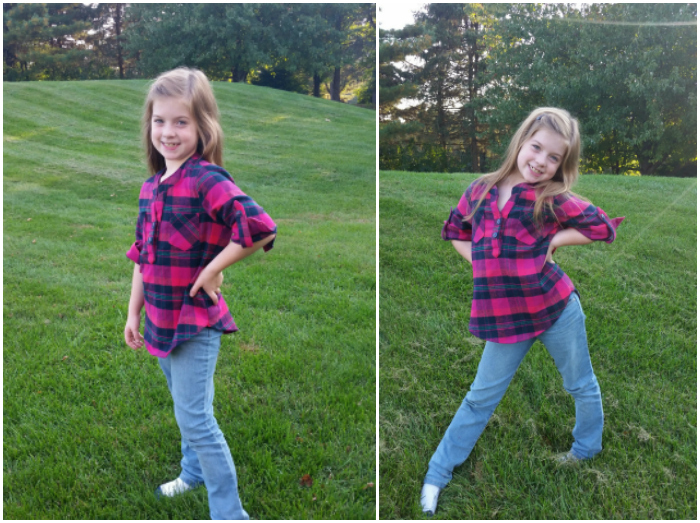 Jackie made a classic chambray view B, a wardrobe must-have! Check out that impeccable sewing! 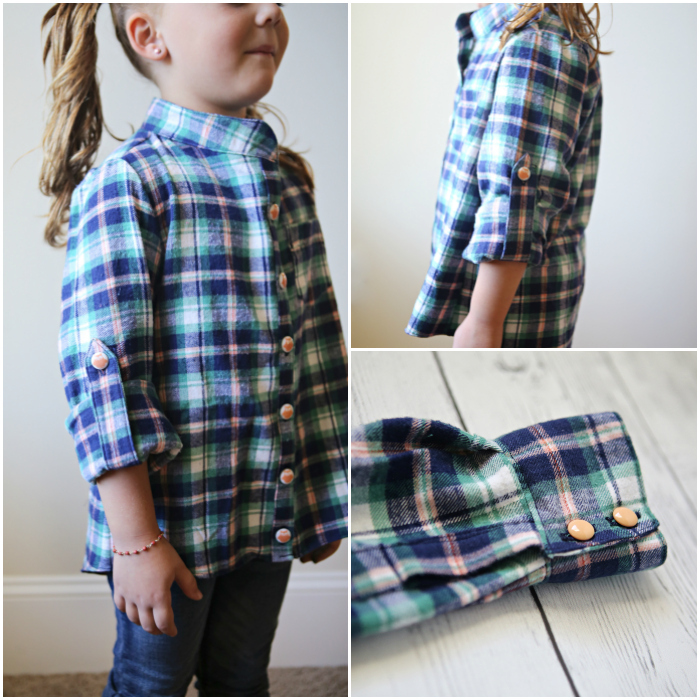 Grethel made a soft flannel view A but left off the collar. 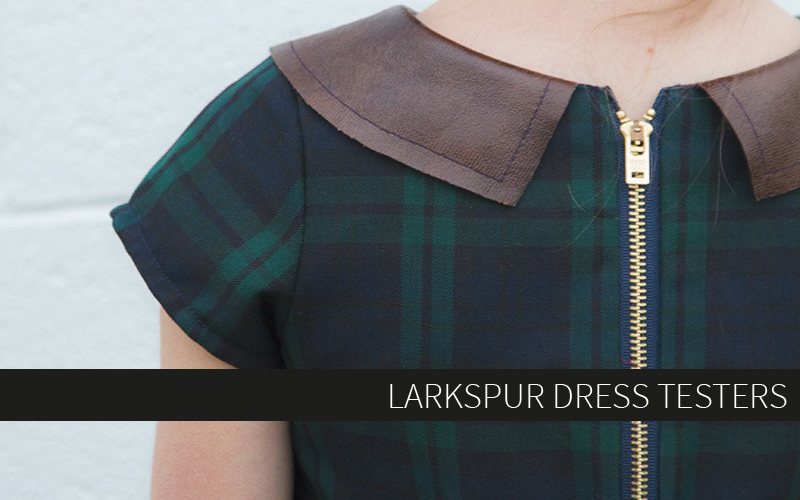 I love how she used shank buttons to give it a completely different look! Diana’s sweet daughter is wearing a cute floral view A dress with 3/4 length sleeves. I love how the floral makes it springy – the Laramie is great for 4 season wear! 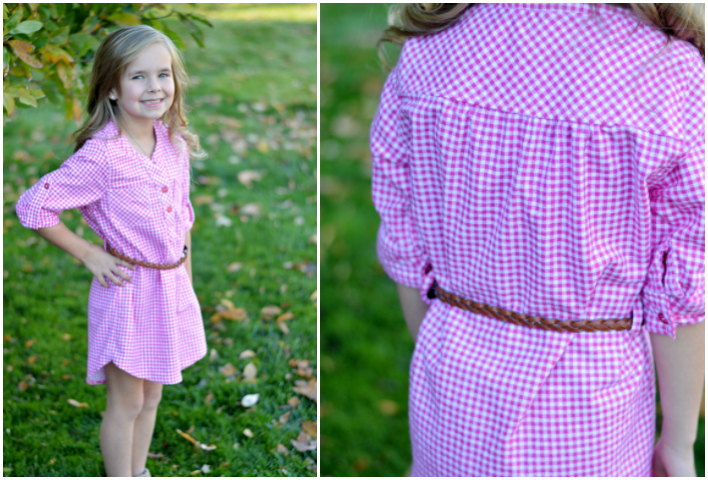 Courtney made a cute gingham check view B dress for her daughter. I think the leather braided belt is the perfect addition. 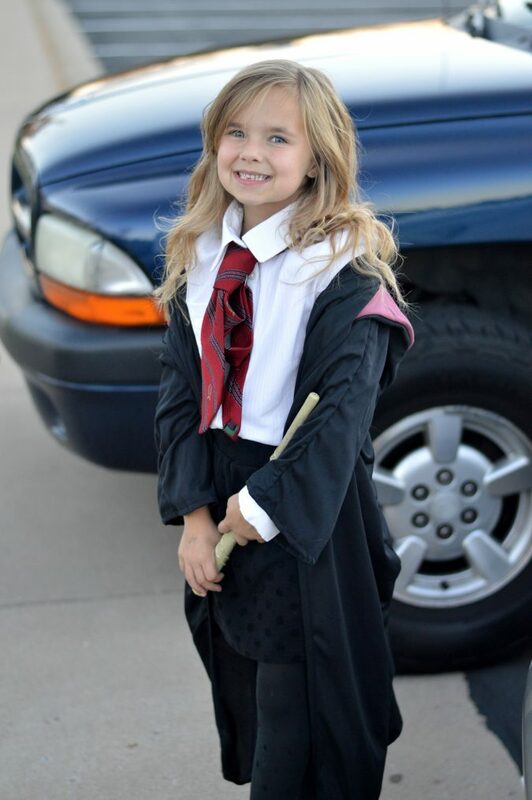 She also used the Laramie as a base for her daughter’s Hermione Halloween costume! 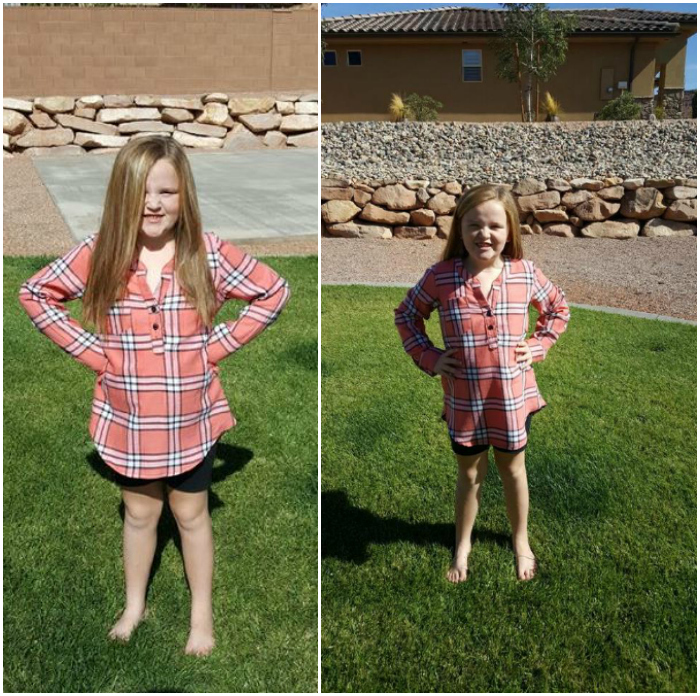 Cori made her cute kiddo a soft plaid flannel view B tunic. I love the picture of the two of them sporting their matching Cheyenne and Laramie! 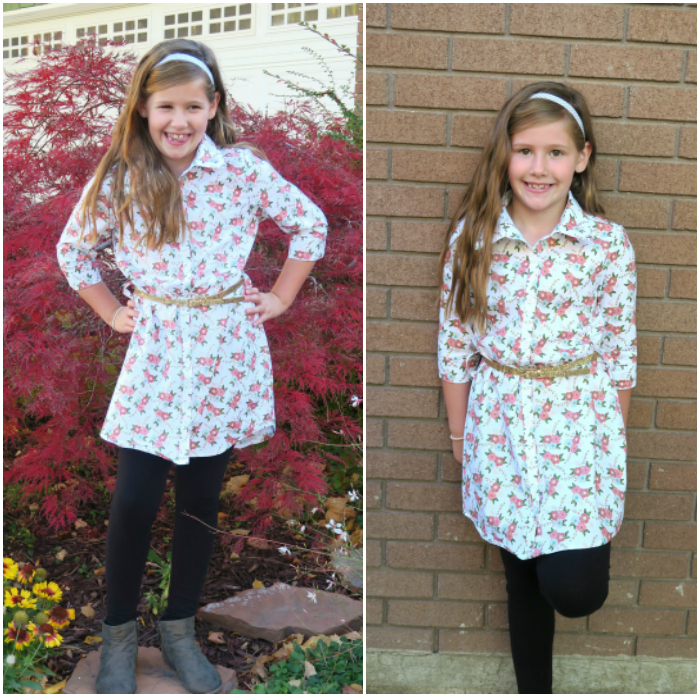 Carlada used fabric accents to add some interest to her daughter’s cute view B dress. I love how she tied it in the back for a cute bow detail! 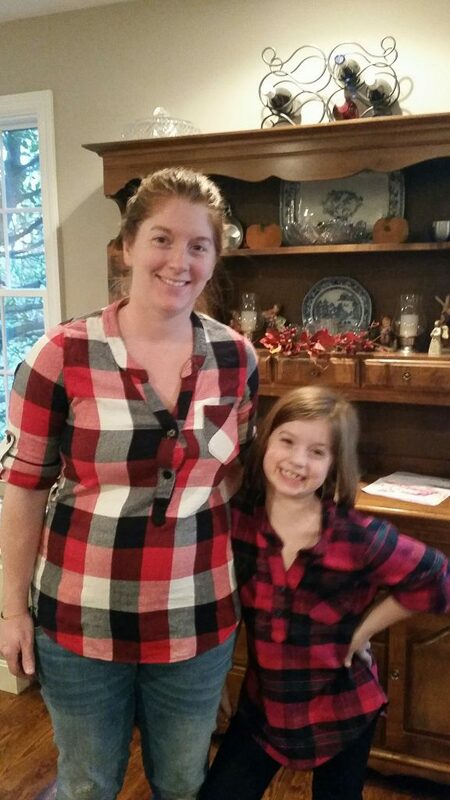 Becky made a cozy plaid view B tunic for her daughter. 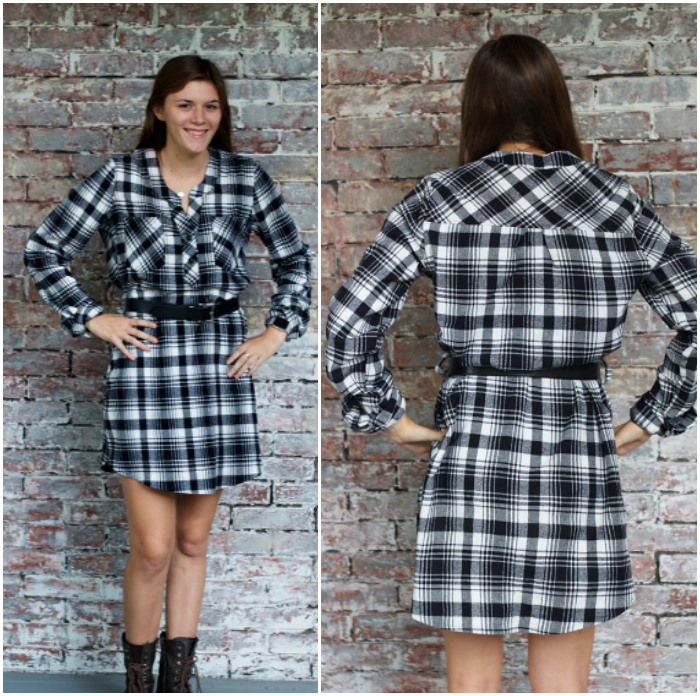 This one will be great with leggings when the weather cools off! 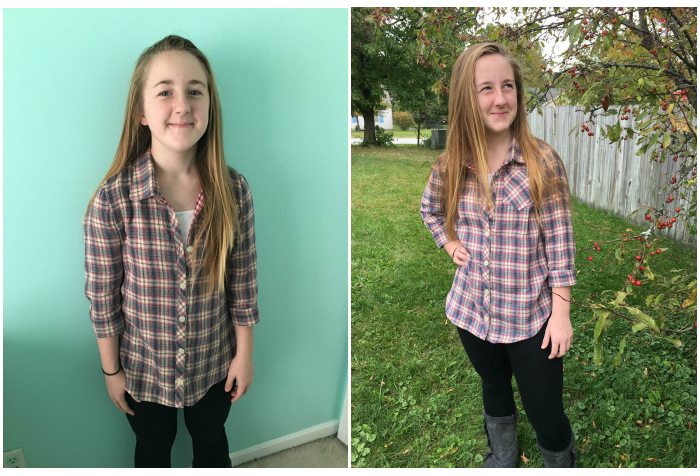 Amy made her niece a classic plaid button down. 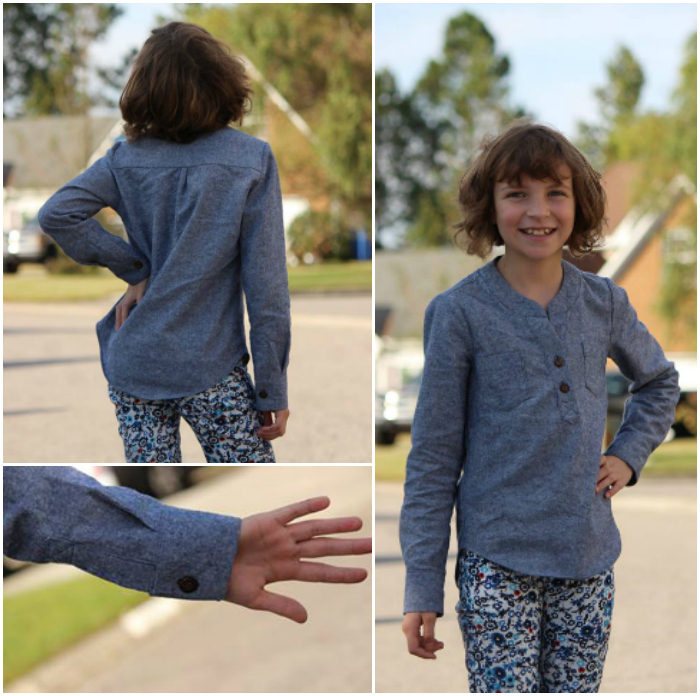 I love the bias cut placket and pocket! And there you have it! A parade of lovely Laramies! Which version will you sew first? They are all so gorgeous!!! !